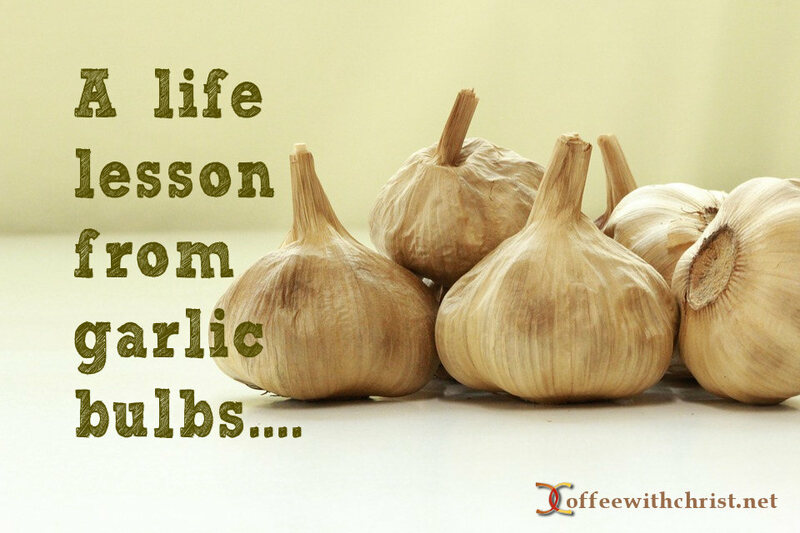 A few years ago my father gave me several cloves of garlic from his garden to plant in mine. I am not one of those people that are able to plant a lush vegetable garden with success. Honestly, I am pleased when I can gather a few heads of oddly formed broccoli, my tomato plants produce enough to make a few pots of spaghetti sauce, and my lettuce is in good enough shape to make it to my salad bowl. I am sure my little garden looks pitiful to the experienced gardener. That being said I was excited at the prospect of growing some garlic. It is one of my favorite seasonings and I add it to almost everything I cook. I placed those little bulbs in the garden and watched as they sent up their green stalks. I came across some green onions and planted those as well. Before long I was happily clipping shoots of both and adding them to my cooking. My garlic sent up a thick stalk (which I later found out is called a scape) and eventually flowered. Autumn arrived and I eagerly began digging in search of the perfect garlic bulbs that had grown and matured underground. Only they weren't there. I had roots, but not tasty bulbs. So I hit the internet and made an interesting discovery. 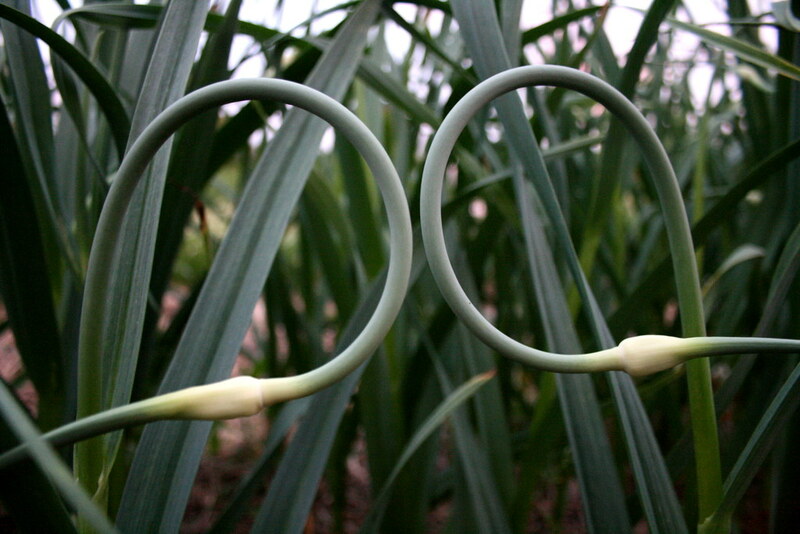 When left to its own devices, a garlic plant will put much of its energy into the production of the flower. While this yields a beautiful flower to look at, it causes the bulb to be stunted. And I wondered, how many of us are focused on the flower when we should be focused on the bulb. Admittedly we (or, at least, I) long to feel beautiful, to be "seen" by others around us, to stand out. We want to be THE flower in the garden. As a result, we may spend our energy on the things that get us noticed: organizing the church picnic, singing in the choir, teaching children's church, proclaiming our love for Jesus everywhere we go LOUDLY. We long to serve.....and be recognized for that service. And honestly, if done for the right reasons there is nothing wrong with serving in those highly visible positions. There is nothing wrong with declaring our love for our Savior. But sometimes you have to stop and ask yourself if you are diverting energy that should be spent growing those parts that are unseen. You may be the very best Sunday School teacher the church has ever had, but if you are devoting everything to creating the perfect lesson and neglecting your own studies and relationship with God then perhaps you need to reevaluate. You might have a long list of people that have chosen to give their life to God as a result of your actions in public. But if your actions behind closed doors are less desirable or holy, maybe you need to reconsider what you focus on. I am not saying that you can't, or shouldn't, make the effort to be a beautiful flower. What I am saying is that, perhaps, we need to be watchful that those efforts aren't costing us a huge price. We are called to grow. (1 Peter 2:2, 2 Peter 3:18) A flower blooms and is appreciated for a short time, but the part that remains unseen matures and is the true harvest. sort of work each one has done.